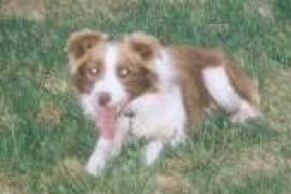 In his younger years, Puck was a very fast dangerous dog. Not only did he break Phebe’s leg when she was a puppy, he broke the leg of the Eunice Morgan (Region 9’s Regional Director and NSL’s team coach). 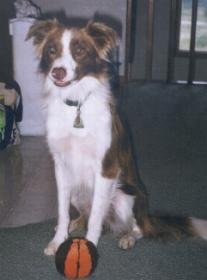 Puck retired from flyball after earning his Onyx in 2003.